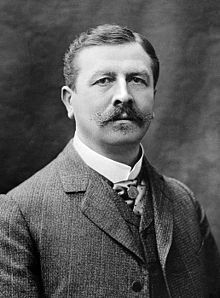 Something about it rang a bell and I started searching through my papers until I came across my notes on Dr Joseph Babinski (1857-1932). Babinski left a legacy to mainstream medicine, lending his name to the reflex known as the ‘Babinski sign’, where the big toes moves upwards upon stimulation of the sole of the foot. This is still used today to test normal responses in infants. Other experiments he conducted, however, led me to relegate him unfairly to the depths of the Crackpot File, namely his work in the short-lived practice of metallotherapy, much in vogue during the later decades of the nineteenth century and led by researchers from the famous French asylum, the Salpêtrière. Their reasoning was based upon the fact that when metals are placed in contact with moist skin, a chemical reaction results which stimulates the nervous system to produce slight electrical currents. This led to radical treatments of hysterical patients by conducting charges through their bodies by way of metallic plates. The fad prompted some with nervous dispositions to wear these plates about their persons, and women with hysterical tendencies to seek solace in bathtubs filled with rusty pieces of scrap iron. Ingesting gold was theorised to fortify the nerves by effecting a similar process internally, but it was Babinski who made the most outlandish claims for the treatment. His experiments in magnetic transmission involved two hysterics who both suffered from hemianesthesia – the loss of sensation in either lateral half of the body. Babinski seated his patients back to back and reported that he was able to use a magnet to transfer their conditions, so that one patient would have complete sensation, while the other would be fully anesthetised. In the full flush of enthusiasm for his discovery, Babinski suggested a number of applications for his process, proposing that it might be possible to transfer hysteria to another body altogether, such as that of a pig (the ideal subject to infect with hysteria since, one way or another, it would eventually be cured). Babinski ultimately tried to distance himself from these claims, but in the light of the latest research, it seems he may have been closer to the mark than even he suspected. Although far-fetched, his is part of an ongoing scientific and imaginative exploration of the currents that flow through the human body, which may be altered or mediated by various chemicals, metals, or medical technologies. I salute you, Dr Babinski. Please accept my most humble apologies for ever having filed you under C!